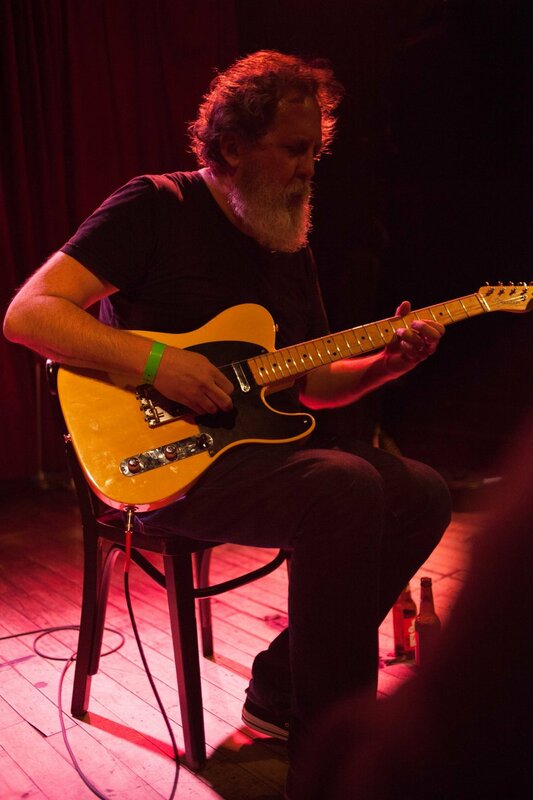 Last year, Bill Orcutt released some of his most accessible sounds on a self-titled electric guitar record on his own Palilalia Records imprint. The album reimagines some songs he’d already explored on A History of Every One and elsewhere, like Ornette Coleman’s “Lonely Woman.” Many bear only a passing resemblance to the original compositions, having been fully twisted by Orcutt’s interpretation. To call his performances of these well-known songs unique would be a massive understatement. You might also call them “difficult,” but that would would be ignoring the incredible grace behind the playing. Seeing Orcutt perform some of these songs last week I was struck by how moving they could be. This set was recorded with the AKGs set up in stereo DINa configuration, plus a board feed from FOH Doug. The sound is excellent. Enjoy! Eugene Chadbourne—Doc Chad for the familiar—is likely the only musician living who could (would?) play you a Woody Guthrie song on the banjo and also destroy your eardrums with the electric rake. With literally zillions of releases over the last forty years, he’s done folk, jazz, rock, noise, and everything in between. 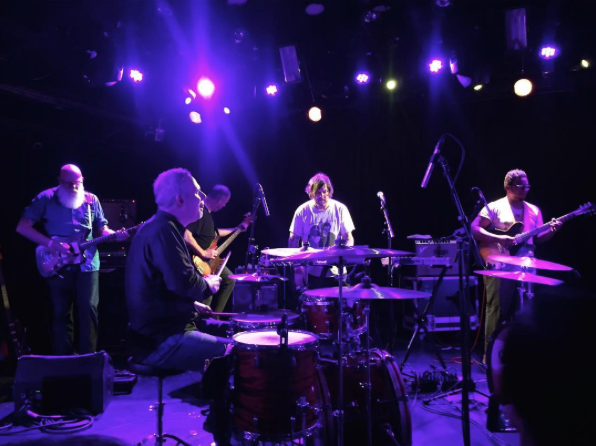 In fact, it’s those in betweens where Doc Chad spends most of his time, never stagnating on one genre, one band, one collaborator, or even one instrument—as if any of those things could claim to define his music. Yes, Doc Chad is a national treasure. 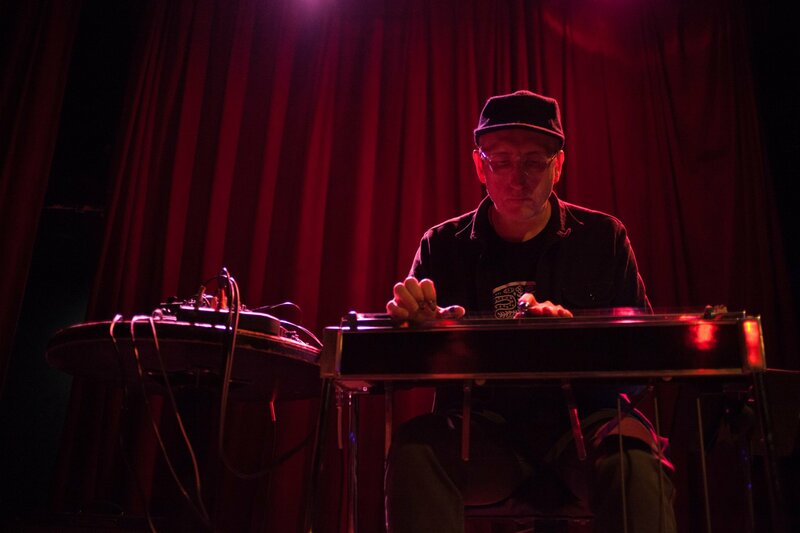 This set from Union Pool a few weeks back has got all the goods: covers of Guthrie and Beefheart, an ode to Conway Twitty, a medly of Johnny Paycheck tunes, and some Chadbourne originals. No electric rake, but you can’t have everything can you? Visit eugenechadbourne.com for tour dates, to order music, and to experience frames! Thirty-five years ago when the Meat Puppets released their first album they were the punk band that was also into the Grateful Dead. To save you from doing the math, that was wayyyyyy before it was cool to like both punk rock and the Dead. That’s all to say the Meat Puppets have always been ahead of their time. And they’ve seen it all: SST in the early eighties when it was the independent record label; performing their songs on perhaps the most beloved MTV Unplugged of all time; a massive hit song with “Backwater” and the Gold Record to match. But there’s no better testament to their lasting vitality than a packed Brooklyn Bowl for a Wednesday night show. Dig the fiery “Touchdown King” and a sixteen-minute “Up on the Sun” and see the light. The Tour Tour Two with Mike Watt continues. Check here for dates. I recorded this from the right side of the room with the AKG’s flown high. The sound is excellent. Enjoy! It’s an absolute shame it took me this long to see Mike Watt live. I recall as a teenager hearing about the epic Watt/Foo Fighters/Hovercraft tour of 1995—recently documented on Ring Spiel Tour ’95—and not quite knowing who this guy was except for “Against the 70s.” A few years later I would learn of the Minutemen and fIREHOSE, but still it never seemed to work out to catch Watt live. Last week I rectified that in the best way possible. Watt has been playing off and on with Tom Watson (guitar) and Jerry Trebotic (drums) since 2001 and they’ve got the whole spiel down pat. Twenty-seven songs in under an hour with a whole bunch of Minutemen favorites thrown in—pure joy. The Tour Tour Two with the Meat Puppets continues. Check here for dates. I recorded this set from our usual location in the venue slightly to the left of soundboard in the balcony area, with a board feed from Bowery FOH Kenny. As usual for the venue, the sound is excellent. Enjoy!